SPFT is pleased to endorse Mitra Jalali Nelson for the special election for the Saint Paul City Council Ward 4 seat. As a former SPFT political organizer, MItra worked hard to pass a referendum in 2013 to support our students and increase funding for our public schools. She understands that our city is stronger when educators, parents, and students work with elected officials to make decisions about community. 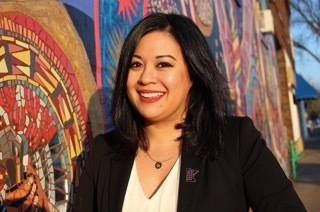 Mitra will be a strong, progressive voice for the residents of Ward 4 as she advocates for a $15 minimum wage with no tip penalty, attainable and affordable housing, and fully funded, racially equitable public schools. We look forward to partnering with her to identify ways the Saint Paul City Council can help us build the schools Saint Paul students deserve. You can find her answers to our questionnaire here. Ward 4 covers the St. Anthony Park, Merriam Park, and Hamline-Midway neighborhoods in addition to portions of Como and Mac-Groveland. The DFL Convention for the Ward 4 seat will be held on April 28, 2018. The general election will be held August 14, 2018. Mitra Jalali Nelson is endorsed by SPFT for the Ward 4 special election.